So I'm reading a series of Arthurian romances by the 12th-century storyteller Chrétien de Troyes, who after Geoffrey of Monmouth invented much of what's now our standard Arthurian canon. 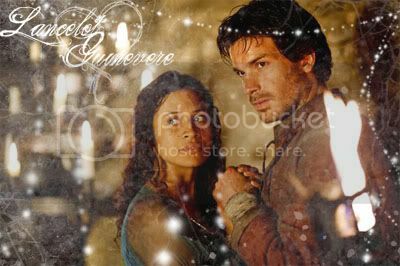 The first time in known history that the love triangle between Arthur, Guinevere, and Lancelot appeared was in Chrétien's romance The Knight of the Cart. This romance, according to Chrétien himself in the prologue, was a plot provided to him by his patroness, Countess Marie de Champagne (daughter of Eleanor of Aquitaine). While historians have been able to trace other parts of The Knight of the Cart to earlier sources, there is no earlier source for the love triangle. So, if the author is speaking the truth about getting the story from the countess, then it's possible and plausible that the countess came up with that piece of it on her own, and suggested that Chrétien work the romance into the plot.